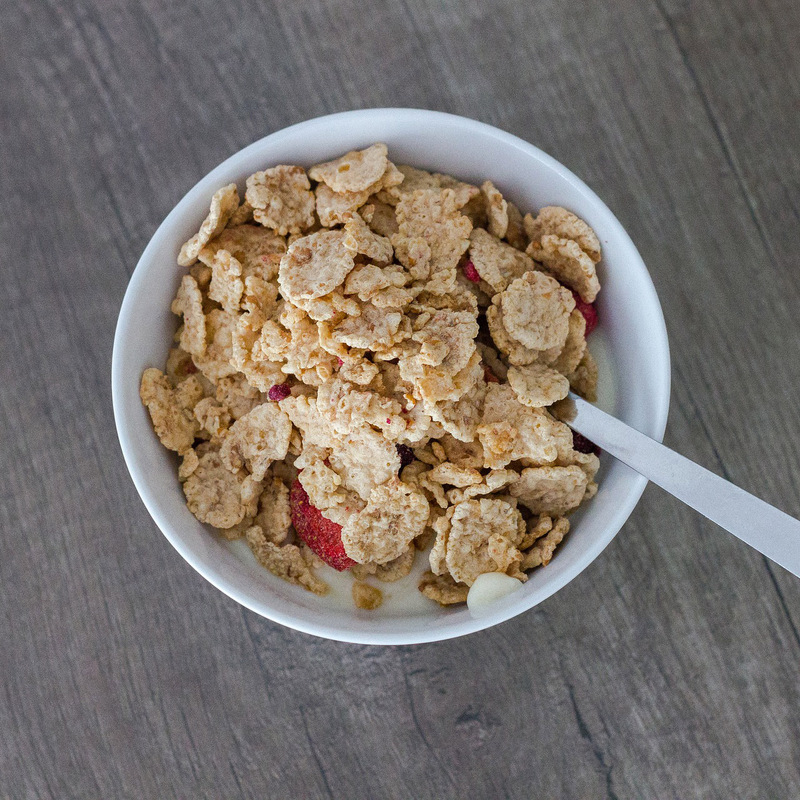 Many breakfast cereals contain fiber, but most of them violate the “five-to-one fiber rule”: divide the number of carbohydrate grams by the number of dietary fiber grams (a result of 5 or less indicates a healthy balance of ingredients). Breakfast cereals are very low in antioxidants, especially when compared to breakfast alternatives like fruit smoothies. Adding fruit to cereals is a good idea: a half-cup of blueberries eaten with breakfast cereal may help blunt the cereal’s glycemic effects. Fortified breakfast cereal can provide vitamin B12, a nutrient that is not naturally available in plant foods. Image Credit: Zoli / Pixabay. This image has been modified.